The 350 QX brings another level of development into the market from the team at Blade. Currently available in two versions, the Ready-To-Fly (BLH7800) and Bind-N-Fly (FLH7880), the completion level is staggering. 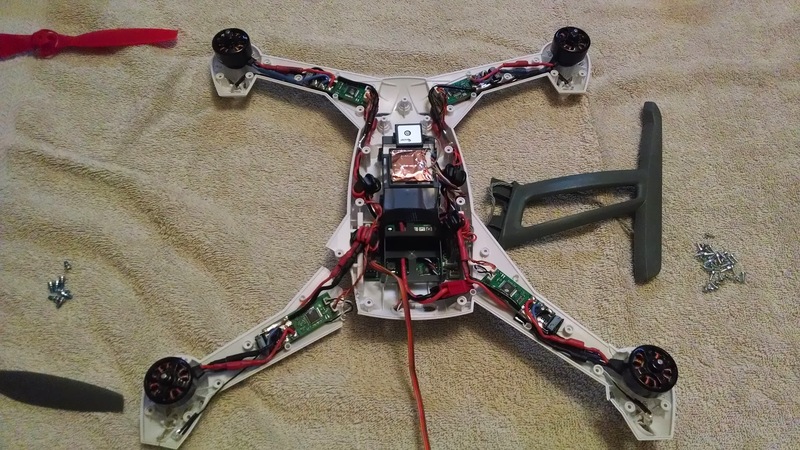 The BNF version includes a 3s Li-Po battery, charger, camera mount and of course the 350 QX itself that is complete and ready to be bound to almost any Spektrum radio. Purchasing the Ready-To-Fly version will add a full range Spektrum DX5e transmitter to the package for those who do not already own a Spektrum transmitter. 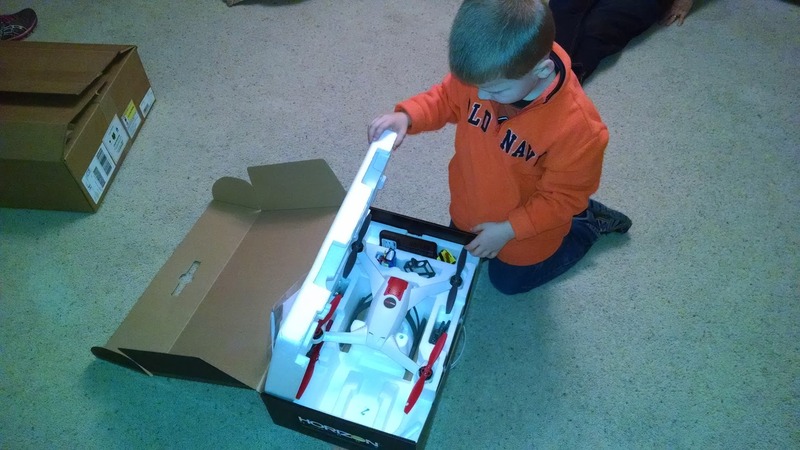 Most of the time when I open a box that contains a helicopter, foam airplane or balsa ARF airplane I’m staring at bits and pieces that quickly settles me into the reality that work needs to be done prior to the fun. Not the case with the opening of the 350 QX box. Even with the BNF I needed to only to charge the battery, load the settings into my DX8 and bind. Build, setup and tuning was complete in minutes! 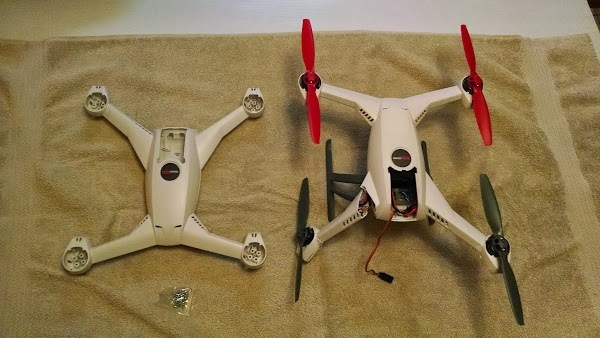 The quad looked sleek and felt light. For some reason I had assumed it would be heavier than it was. The packaging was so good that I have used it this entire time for storage and transport. The extra blades included were a nice touch although after five crashes I haven’t needed them yet. I was pleasantly surprised to see a On/Off switch on the bottom of the body. This allows for the battery to be plugged in prior to heading out to the flight line. Right out of the box the 350 QX come programmed for four modes that are quickly changed in flight. On my DX8 I have them set up to change using the Flight Mode and Gear switches. If the status light is solid, this means GPS lock is achieved, in the LED status light is flashing then GPS has not locked yet. Smart Mode (Green on the LED status light)- While in Smart Mode, the 350 QX has several unique features. One of the safety features in called the Safe Circle. The Safe Circle protects the pilot by not allowing the aircraft to come closer than 15 feet. For new pilots, it also engages Stick Relativity mode. This may be easier for beginners because you just point the aircraft to whichever direction you want it to go with the sticks, without worrying about which orientation the aircraft is in at the time. The 350 QX also uses Self Leveling in this mode. This means that if you center the aileron and elevator inputs, the the quad will automatically level itself. Altitude is based on throttle stick position rather than thrust. Imagine that lowering the throttle stick all the way down tells the quad to land. So the more you move the throttle stick up the higher it climbs. This makes the 350 QX nearly impossible to slam into the ground. Lastly Smart Mode enables the 350 QX to hold its current position thanks to GPS and the compass. Stability Mode (Blue on the LED status light)- I much prefer Stability Mode to Smart Mode because as an experienced RC pilot I felt that Stick Relativity would complicate things for me. So the majority of the time I used Stability Mode because it retains the same advantages of Position Hold and Self Leveling, yet disables Stick Relativity. 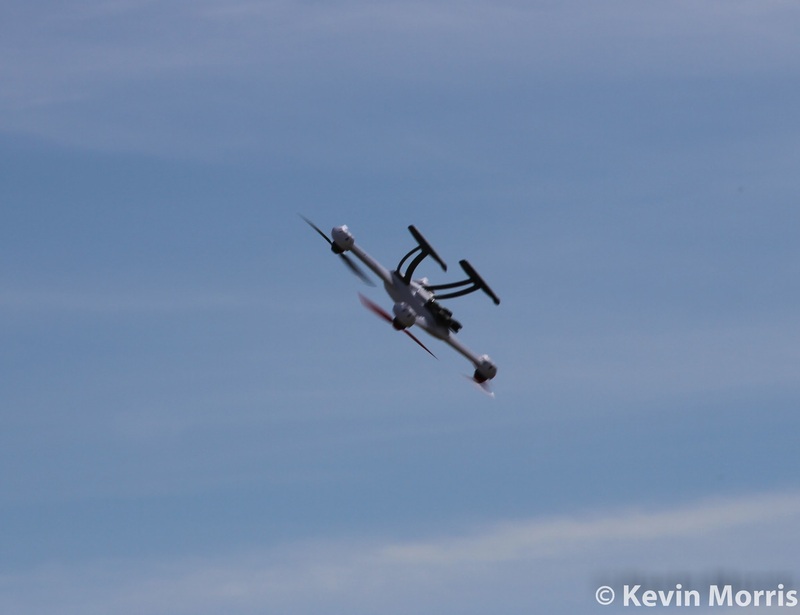 It also makes the throttle directly control thrust which is what most RC pilots will be accustomed to. Agility Mode (Red on the LED status light)- Agility Mode is all about fun and aggressive flying to me. This is where I had the most fun, especially when flying line of sight because this is the only mode that will allow the 350 QX to flip over. In this mode the 350 QX has an extreme amount of abundant power allowing for flips, rolls, loops. and all sorts of aerobatics maneuvers. Occasionally I even flew in Agility Mode while flying FPV for doing aerobatics. The 350 QX is so stable this in very easy for most pilots. Return to Home Mode (Fast Flashing Red status light)- Just as it sounds, when Return to Home is activated the 350 QX flies back to the coordinates where the motors were engaged. Once there it begins a slow descent until it lands all by itself. This feature worked perfectly for me in every instance when GPS was locked. Overall the manual is pretty good. Inside you will find loads of information including programming your radio, binding, switch location, mode explanations, and LED status light codes. The obvious question is, “If the manual includes almost everything, why isn’t it great?” This is a tough one because there is so much information that the black and white print tends to overload the reader, even to the point that some have felt it was too much. Luckily Blade Helis answered this with a complete set of videos. For example, rather than read the manual, I watched a video on the Blade website that showed me exactly how to set up my Spektrum DX8 transmitter. There are also numerous videos covering assembly, pre-flight checklist, calibration, and ESC replacement. Major thumbs up! The 350 QX comes out of the box ready to go, but after a few crashes you may need to calibrate some of the sensors. The possible calibrations include: pressure sensor, compass and accelerometer. There are instructions in the manual, as well as videos to assist you through the process. I met up with some friends at ARCA in Austin, Texas to do the maiden flight and acquire some professional guidance on FPV. After charging the battery and binding to my transmitter, I took it out for the first flight. About 30 seconds after turning it on the GPS locked. I started the motors and lifted off in Stability Mode to witness the quad just sit a few feet above the ground just awaiting further command. I proceeded to fly in Stability Mode for a few minutes to test the quad and the capabilities of the flight mode. At that point I followed a suggestion to initialize the Return to Home mode. Immediately the status light began quickly flashing red and the 350 QX slowly returned to the point at which it had taken off with less than a foot of error. I was stunned, and there wasn’t a doubt by the huge grin on my face. At that point I switched into Agility Mode and decided it was time for some speed runs and flips. 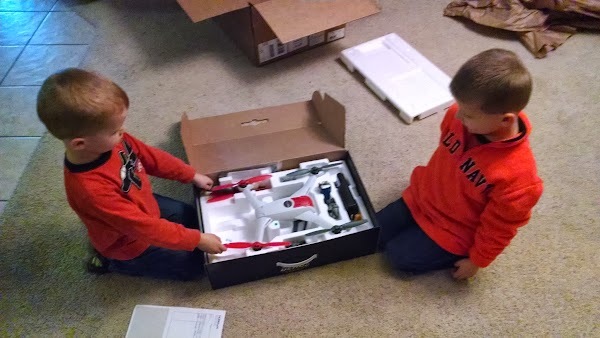 Oh my the guys at Blade knew what was needed by giving the 350 QX the power to flip and roll with authority. I quickly became extremely confident and finished out the flight as though I had a hundred flights on it already. 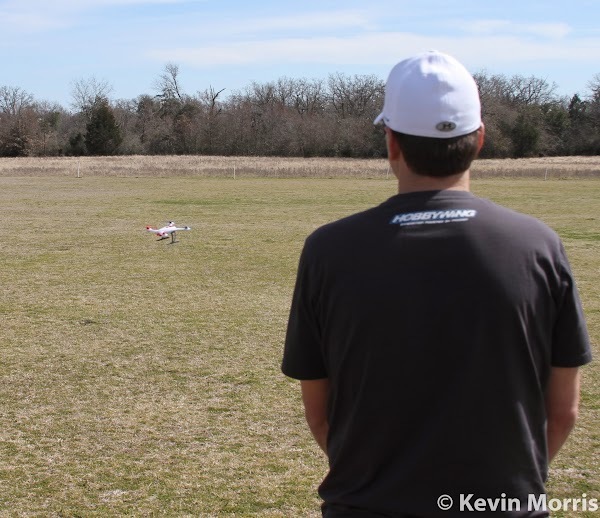 Following the huge success of the maiden flight, I decided that the 350 QX was ready to teach me to fly FPV. My good friends Joe Doran and Kevin Morris helped me to outfit the quad with a complete system capable of flying around a mile away and behind trees. With the advice of the experienced I set out on my first flight using solely FPV. The flight went flawless. I decided to fly the entire time in Stability mode due to the ease of flight and the assistance the 350 QX offered me that allowed me to concentrate on the new flight experience of looking through the goggles. On my second flight I was already flying in Agility Mode at times doing flips and rolls. Flying in between trees was amazing fun and the view from high above was nothing short of astounding. I used Velcro to allow me to quickly install and remove the FPV system for transport and for flying line of site. 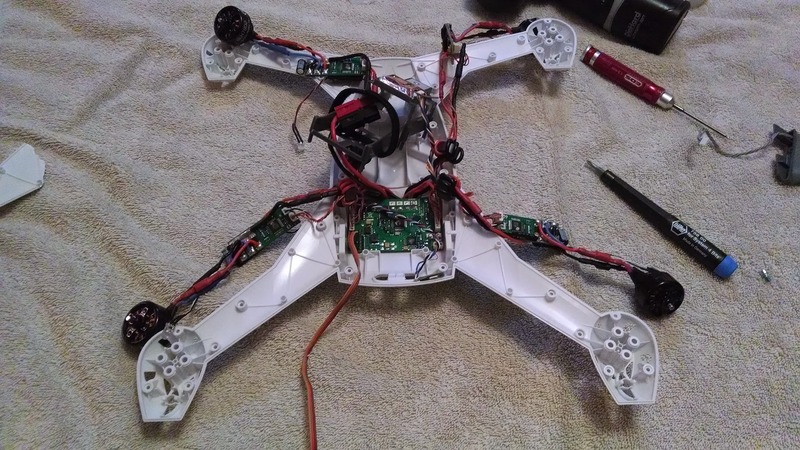 Remove the 8 screws holding the propellers using a 2 mm hex driver. Flip the quad, then remove the 2 screws on the landing skids. In installed, take out the 4 screws that attach the camera mount. Next use a 1.5 mm hex driver to remove the 32 screws that hold the body together. Flip over and remove the body. Unplug the compass sensor to separate landing skid. Take out the 16 screws with a 2.5 mm hex driver to free the brushless motors. Pull the hot glue free carefully with needle nose pliers. Lift the 4 ESCs carefully to free the double sided tape. Last is the 4 tiny screws that hold the board to the body. Finally time for electronics transfer! Reassemble by reversing order. Take special care not to pinch wires when assembling the body halves. Test fly and verify that no calibration is needed! Of course none of us live in a perfect world, and in that no two of us are the same. So it stands to reason that there must be something I would change. One thing I would like to see is Blade look at a use of color or styling changes that would allow a pilot better orientation cues while flying line of sight. With the body and all four arms being the same color it makes orientation difficult at any decent distance. With the molded frames the design possibilities are almost limitless which is a major advantage to any competition using assembly of flat parts. I would like to the the battery door improved so that it stays attached even when you are changing batteries. 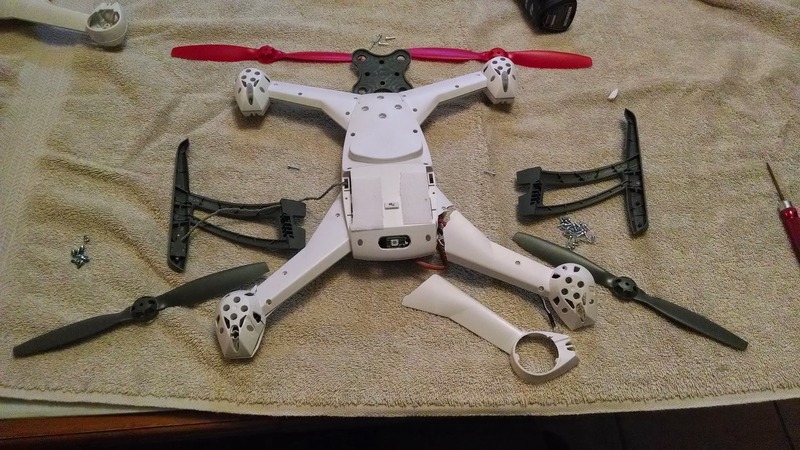 I have heard of two people that said they have lost the battery door in flight, and I have almost lost it one time due to high winds that blew it off of the table making it difficult to locate. If Blade can find a way to reduce the number of screws required to replace a broken arm I believe this would be a major plus. Although I don’t believe this to be problem enough to keep someone from purchasing it, 60 screws just seems like twice as many as a true hobbyist would expect. Another idea would be to institute replaceable arms so that the entire body need not be replaced due to a single cracked arm. Last idea I could provide is a tad of flex in the landing skids. All totalled I have had 5 crashes at the time of this review. The only parts that needed replacing was the body, but the skids are so stiff I could see them breaking rather than giving a bit. Also their stiffness can transfer a rough landing directly to the electronics on board. The multi rotor craze has impacted our hobby without a doubt. From gadget oriented people that love to tinker, build, program and experiment to the other extreme of consumers looking for a truly ready to fly aircraft there is a multi rotor out there to suit your needs. 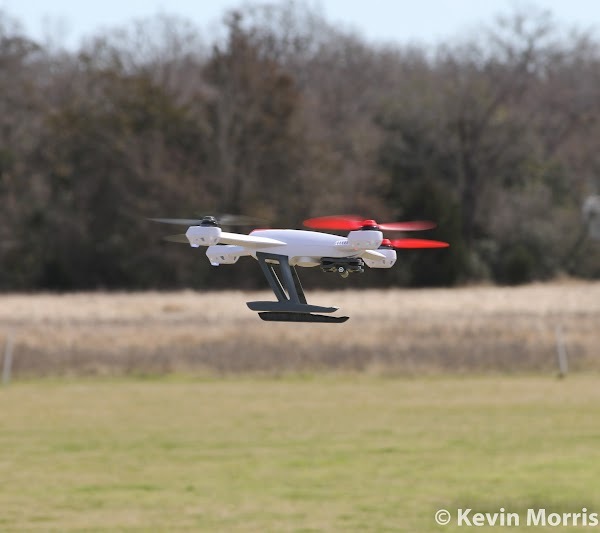 The Blade 350 QX doesn’t need any tinkering, building or programming. For those people definitely go another route that allows you to fill those desires and save you some money in the process. In my case I am possibly right in the middle between the extremes, but I just don’t currently have the time to build and tinker. I also knew from seeing many multi rotors that I wanted something that had a more refined, modern appearance than some of the home built models. After some research I decided the Blade 350 QX had the best package at a very affordable price. The 350 QX initially appears quite a bit more expensive than what a quad can be built for. 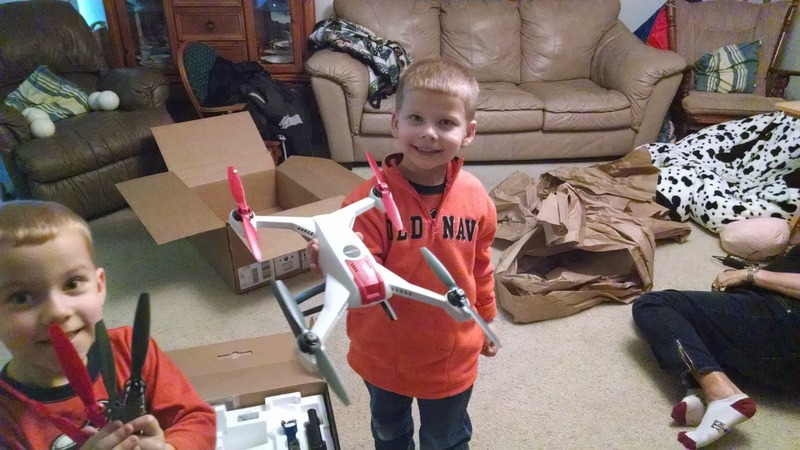 When you factor in all of the components such as airframe, 4 brushless motors, 4 speed controllers, advanced flight control board, battery, lipo charger, camera mount and propellers the value quickly becomes apparent. Even more so if it were possible to factor in all of the assembly and setup time saved compared to building a quad yourself. After weighing in all of the factors I highly recommend this quad to just about everyone. This feature rich aircraft can take someone from just learning to fly, to being able to do fun aerobatics, to aerial photography and even into First Person Video flight. The styling, value, ease of use, performance and amazing support make this a winner without question.